The controversial discovery of 68-million-year-old soft tissue from the bones of a Tyrannosaurus rex finally has a physical explanation. According to new research, iron in the dinosaur’s body preserved the tissue before it could decay. The research, headed by Mary Schweitzer, a molecular paleontologist at North Carolina State University, explains how proteins — and possibly even DNA — can survive millennia. Schweitzer and her colleagues first raised this question in 2005, when they found the seemingly impossible: soft tissue preserved inside the leg of an adolescent T. rex unearthed in Montana. “What we found was unusual, because it was still soft and still transparent and still flexible,” Schweitzer told LiveScience. The find was also controversial, because scientists had thought proteins that make up soft tissue should degrade in less than 1 million years in the best of conditions. In most cases, microbes feast on a dead animal’s soft tissue, destroying it within weeks. The tissue must be something else, perhaps the product of a later bacterial invasion, critics argued. 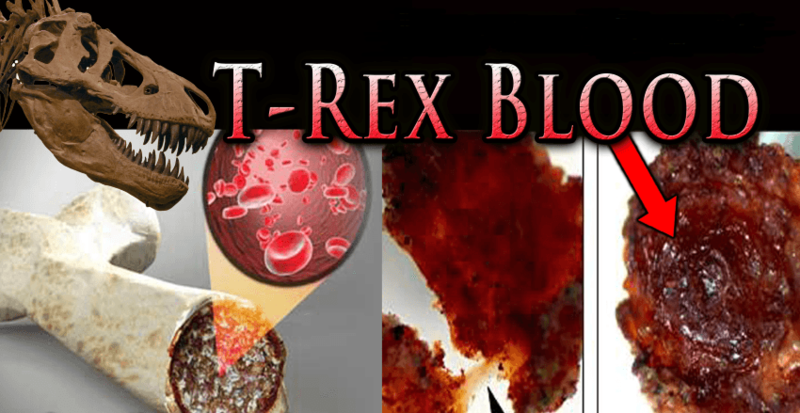 Then, in 2007, Schweitzer and her colleagues analyzed the chemistry of the T. rex proteins. They found the proteins really did come from dinosaur soft tissue. The tissue was collagen, they reported in the journal Science, and it shared similarities with bird collagen — which makes sense, as modern birds evolved from theropod dinosaurs such as T. rex. The obvious question, though, was how soft, pliable tissue could survive for millions of years. In a new study published today (Nov. 26) in the journal Proceedings of the Royal Society B: Biological Sciences, Schweitzer thinks she has the answer: Iron. Iron is an element present in abundance in the body, particularly in the blood, where it is part of the protein that carries oxygen from the lungs to the tissues. Iron is also highly reactive with other molecules, so the body keeps it locked up tight, bound to molecules that prevent it from wreaking havoc on the tissues. Dinosaurs’ iron-rich blood, combined with a good environment for fossilization, may explain the amazing existence of soft tissue from the Cretaceous (a period that lasted from about 65.5 million to 145.5 million years ago) and even earlier. The specimens Schweitzer works with, including skin, show evidence of excellent preservation. The bones of these various specimens are articulated, not scattered, suggesting they were buried quickly. They’re also buried in sandstone, which is porous and may wick away bacteria and reactive enzymes that would otherwise degrade the bone. Schweitzer is set to search for more dinosaur soft tissue this summer. “I’d like to find a honking big T. rex that’s completely articulated that’s still in the ground, or something similar,” she said. To preserve the chemistry of potential soft tissue, the specimens must not be treated with preservatives or glue, as most fossil bones are, she said. And they need to be tested quickly, as soft tissue could degrade once exposed to modern air and humidity. Importantly, Schweitzer and her colleagues have figured out how to remove the iron from their samples, which enables them to analyze the original proteins. They’ve even found chemicals consistent with being DNA, though Schweitzer is quick to note that she hasn’t proven they really are DNA. The iron-removing techniques should allow paleontologists to search more effectively for soft tissue, and to test it when they find it. “Once we can get the chemistry behind some of these soft tissues, there’s all sorts of questions we can ask of ancient organisms,” Schweitzer said. Editor’s Note: This article was updated at 2pm Eastern Nov. 28 to correct unclear language about proteins and DNA.